Apps are one of the fastest growing marketplaces – but also one of the most competitive. There has been a lot of talk in recent months about how app developers can no longer rely on the “build it and they will come” approach to guarantee success for their app. So what can you do to help yours get noticed? The mobile app ecosystem has seen explosive growth as consumers flock to app stores linked to their mobile platforms and devices. There’s plenty of money in the app economy: ABI Research predicts that mobile app revenue will reach $US46 billion by 2016, up from about $US8.5 billion in 2011. But app markets are also becoming incredibly competitive. That means many companies and app developers invest in apps only to see them lost in the “swamp” — the murky, messy, and cluttered app markets. In a new report from BI Intelligence, we examine the current difficulty in navigating the App Store, analyse the best solutions for ensuring your app gets a good rank, and detail the important considerations for an app owner – including app consumer insights, app pricing, app marketing, and app store optimization – that could impact whether an app remains visible in the app store. App Consumer Insights: It’s important to understand how users approach app markets, what aspects of apps draw them in, and their use cases for these apps. According to Compuware, about 85% of global mobile device owners surveyed stated that they prefer to use a mobile app, with the primary reasons being convenience, efficiency, and overall ease of use. Consumers are using apps more, but it’s getting tougher to displace apps that have already found their way into consumer lives. It’s no longer enough to be the shiny new app in the store and get a few write-ups in the tech press. That’s why app marketing has become an important trend. App Pricing: The price tag of apps has a marked effect on consumer demand and app store engagement, and considering price is essential to securing strong visibility, sustained popularity, and continued user engagement. 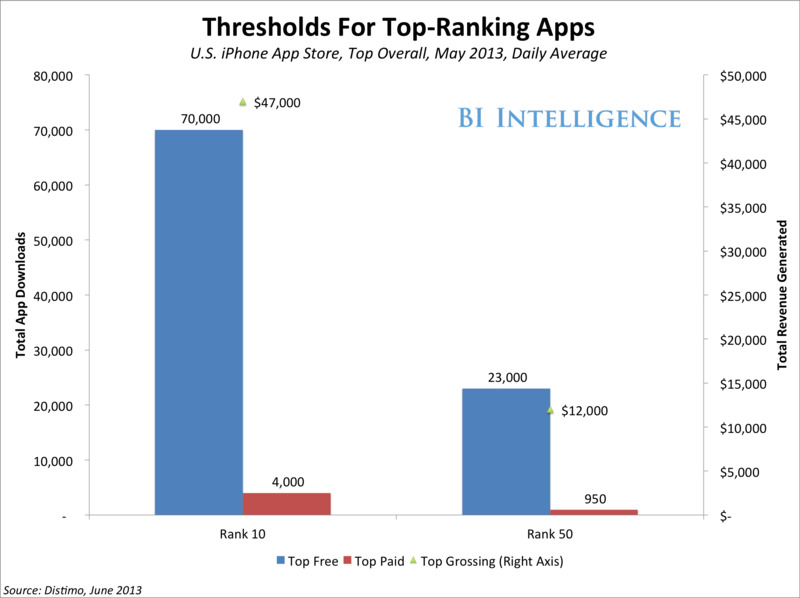 The app analytics firm Distimo analysed the impact of price changes across the top 400 apps globally for iPhone and iPad in December 2012. In the Apple App Store, iPhone apps that dropped in price showed a 1,665% increase in download volume over the next five days (compared to the preceding five days). iPad apps showed a similar trend at 871% growth in download volume.Free and freemium apps tend to draw in the lion’s share of app downloads and revenue, wit in-app purchases within free apps constituting 71% of total iPhone App Store revenue for February 2013. App Marketing: It is also crucial to understand which app categories are garnering the most consumer attention, and also how different global mobile trends can affect your app’s visibility in different countries. It’s worth looking at the top app categories for Google Play and iOS, since users sometimes browse through category pages for apps to download. There are anumber of benefits to featuring your app on a global scale, as many markets have idiosyncrasies that make them difficult to target — forcing developers to think beyond the bounds of the two principal app stores, Google Play and iOS.Perhaps one of the simplest techniques for upping overseas app downloads is location or internationalization, which basically involves reworking your app to fit into a local market, with the most obvious step — but far from the only only one — being to translate your app into the native language. App Store Optimization, ASO: The new big thing in app marketing is App Store Optimization, or ASO. ASO is all about improving your app’s chances at achieving high visibility. The end-goal of ASO — and the growing crop of vendors that offer ASO services — is to help drive app traffic, achieve a high ranking, and enhance the visibility of your app in ways analogous to how SEO experts help websites drive traffic through search engines. Several factors are typically optimised in an ASO effort, including app name, keywords, icons and screen shots, and ratings and reviews. Maintaining these characteristics will help tailor your app for greater app store exposure. This article originally appeared in the Tech section of Business Insider Australia. To read more articles in the series, click here. Do you think paid search is the way forward for app marketing?